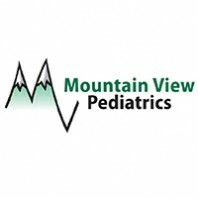 As the largest pediatric practice in northern Arizona, Mountain View Pediatrics must operate efficiently to keep their patients healthy. But that operation became more efficient this past year when Mountain View Pediatrics joined Health Current, according to one of the co-owners, Ron Tuckman, MD, and office manager, Angela Hernandez. The eight pediatricians and one nurse practitioner of Mountain View Pediatrics in Flagstaff typically see 115 patients each day and 15-25 patients on weekends. They are always busy, especially now in the middle of flu season. When Mountain View Pediatrics joined Health Current, one of the first services set up was to receive Alerts on their patients who are admitted or discharged from the hospital. While this can mean receiving a significant number of Alerts, they built the Alerts into their practice workflow to ensure timely follow-up with discharged patients and their families. In the past, Tuckman said, they would receive “infrequent calls” from hospitals concerning patients who were discharged. Now with their HIE connection, the Alerts are a “secure blanket” covering every discharge. With each Alert of a patient discharge, Mountain View staff reaches out to schedule appointments and to determine next steps. With most discharges, it can be several days before a discharge summary is available so the Alerts allow the practice to begin follow-up right away and request the discharge summary as soon as possible. The connection with Health Current has also improved the referral process, according to Hernandez. “We love the ability to securely share records for patient referrals. The HIE makes it easier for both providers and patients,” she said.